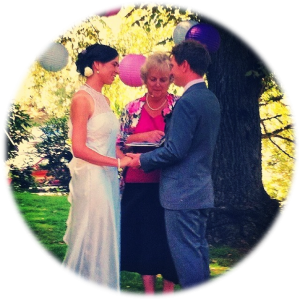 On the 9th of March 2014 my sister got married to her long-term partner. Personally, I’ve never really been a fan of weddings. I don’t think that it is necessary to have a public celebration to express love for a partner; and I’ve never been one to agree with conforming to religious or heteronormative traditions. However, while I still, and probably always will, disagree with marriage as a necessary ritual, I can honestly say that the weekend of Miranda’s wedding somewhat changed my views. Rather than conforming to the traditions of any religious institution, my sister’s wedding was very personalised. It was a celebration of her and her husband’s love for one another, and an opportunity to celebrate this with the people closest to them in their lives. Miranda and Paul asked family and friends to gather in Hobart’s Fitzroy Gardens in Sandy Bay to watch them exchange their vows. On the day, brightly coloured lanterns were arranged to decorate the trees and wooden chairs were provided for seating. It was a beautiful sight to see everyone gathered together waiting for Miranda to arrive. While my sister and I, the bridesmaid, were last to arrive, this was organised in a way that, again, avoided religious tradition. Miranda was not walked up the aisle. Rather, we guided Vincent, my young nephew, out of the chauffeured car and into the gardens to bring together his mother and father. 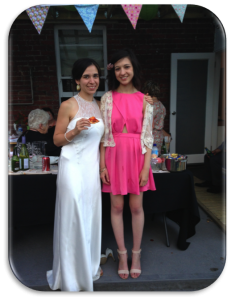 While in the initial planning my older sister was sad to not have our father play a part in her wedding, we all agreed in the end that nothing different would have any been better. After having received no love or support from him through any of her adult years, my sister had no reason to give him an active role in her wedding. In keeping with the effort she has consistently put in overtime to restore their relationship, Miranda did invite our father. Many people were upset when he chose not to attend, but, in hindsight, I think his choice was best for everyone. On the day, only the people that really love Miranda and Paul attended. This allowed the celebrations to be very personal, and the vows to be meaningful and real. It really was the most beautiful wedding. Like the rest of the wedding, Miranda and Paul’s reception was laid-back and genuine. Guests were invited to celebrate at Miranda and Paul’s family home, predominantly in the garden. With the help of friends and family, and a lot of help and guidance from our Mum, who is an artist, the garden was decorated perfectly. Brightly coloured chairs, handmade decorations and antique dinner sets were arranged for the occasion. The atmosphere was relaxed and homely and there was no pressure on anyone to be or do anything they didn’t want to. Personally, I’m not sure it could have been any more enjoyable. While I still stand by the problems I have with the ritual of marriage and with the power relations that it often upholds as an institution, I think the 9th of March has changed my mind about weddings in general. Minus the traditions of getting married in a church, walking down the aisle and passing authority over a woman from one man to another, I think weddings are wonderful. Fundamentally, all it is is a celebration of love and happiness between two people. Great article. I’ve been thinking about marriage a lot with many friends getting married lately. I’ve been with my partner for almost 8 years and we aren’t married and don’t feel we have to get married but we would like to have a celebration at some point probably in the form of a non-traditional wedding where we do get married. I certainly won’t be a Mrs though. I find the whole idea of taking the mans name and being walked down the isle very strange and horribly degrading! My partner actually thought I was a bit strange when I told him that and then I asked him: well why don’t u take my name then? His response was ‘ok… That’s fair enough!’ I think ppl just follow tradition without thinking about what it means and why they’re doing it. This entry was posted in Life, Opinion and tagged life, Opinion, weddings. Bookmark the permalink.